The Holy Bible : containing the Old Testament and the New : translated out of the original tongues, and with the former translations diligently compared and revised / by His Majesty’s special command. Appointed to be read in churches. With the Apocrypha. Cambridge : printed by John Baskerville, printer to the University, 1763. A list of subscribers is inserted before the text. N.T. followed by index and tables. N.T. has special t.p. With the matter usually found in the margins arranged in the form of footnotes. Includes Tables of Scripture measures, weights, and coins, a Table of time, a Table of offices and conditions of men, a Table of kindred and affinity. The second part has special t.p. : The New Testament of Our Lord and Saviour Jesus Christ, newly translated out if the original Greek … Cambridge : Printed by John Baskerville, printer to the University, 1763. 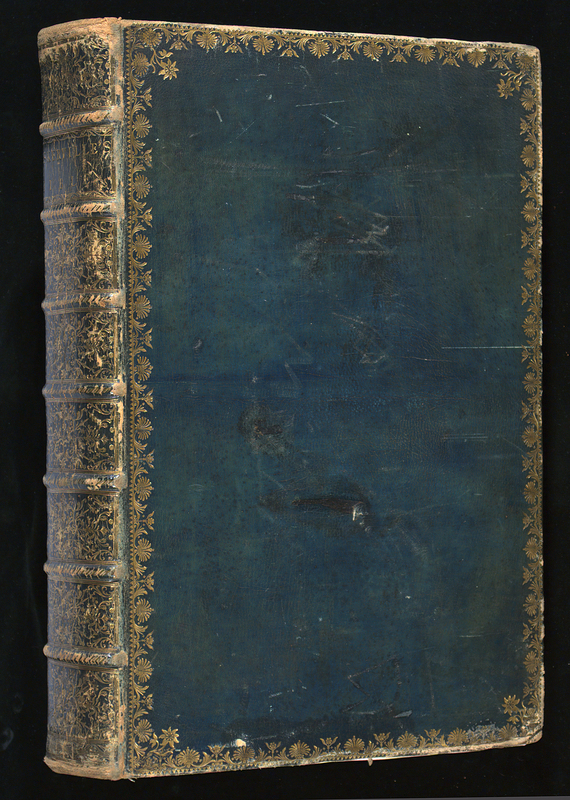 Dark green morocco-leather binding of the period, gold tooled design on covers and edges, gold tooled spine with gold lettering, seven raised bands, marbled endpapers, gold tooled doublures, gilt edges. Bookplate on front pastedown: Non nobis solum, Eardley. This edition has always been regarded as Baskerville’s magnum opus as well as his most characteristic specimen.